Hairstyles for Men - Long, Medium and Short. This is a basic curtained hairstyle. 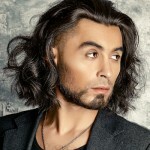 This is best suited for men with naturally wavy and medium length hair. For this specific curtained hairstyle, the fringe is cut longer than usual and is sectioned a little to the side. To achieve this look, the hair needs to be cut in layers ensuring that the fringe is tapered a little longer so it may be combed to the sides. Section the hair by side parting it just a little past the middle section. There is no need to gel or wax it strongly as this should appear to look light and refreshing. This can be easily attained by men with long length hair. This can be achieved by having the hair cut in layers, but making sure that no layer is cut too short. The arches are cut right above the ear line. To achieve this look, use a light to medium hold hair gel and comb the hair up. In addition, the hair on the side of the head must be comb going to the back to achieve a uniform appearance. There is no need to be too meticulous as this hairstyle is not meant to appear too sleek and tight. This is also fairly easy to do even when you need to rush. This hairstyle may take a little longer to fix, but may be left as is once done. Use a strong hold hair gel or wax for this hairstyle. 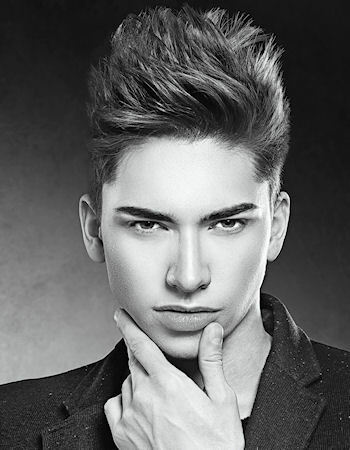 This can be achieved by tapering the hair in layers and using a light to medium hold hair gel. 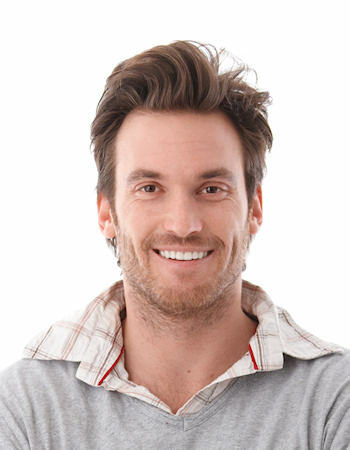 Men with naturally curly or wavy hair are best suited for this style. To attain this hairstyle, the hair needs to be fixed using a gel or wax. Comb the sides towards the back of the head and the top part may be hand combed. 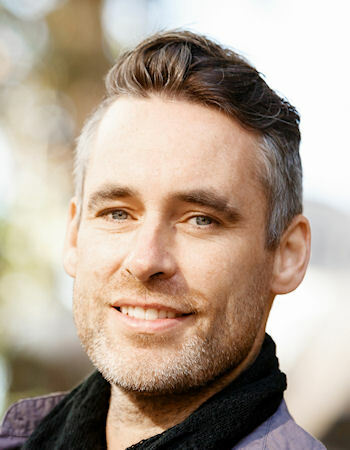 You add style by flicking some locks of hair to the forehead. This hairstyle is very simple to achieve and looks carefree as well as casual. Best for any day and any occasion. 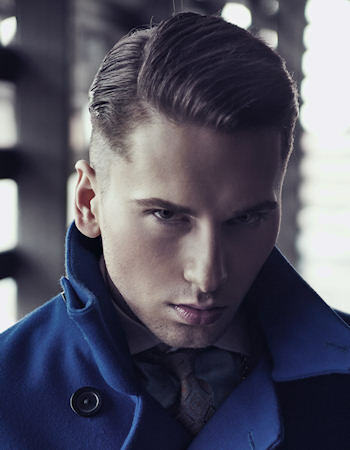 Another way to style the business manâ€™s hairstyle is by adding volume it yet maintaining its formality and elegance. 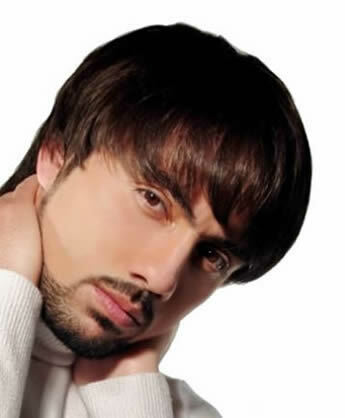 This hairstyle is suited for those men with medium length hair. Hair is parted to one side and is fixed in such a way that the swept part appears volumized and full. This may be achieved by applying gel to the hair and combing it up. Make sure that the tips are rested down instead of being up to make the hair appear full. The side arches are cut just above the ear line and the hair on the napes are cut thinly. Quite Severe at the Sides. This is a bold take to the usual business manâ€™s haircut as the sides are totally shaved off. 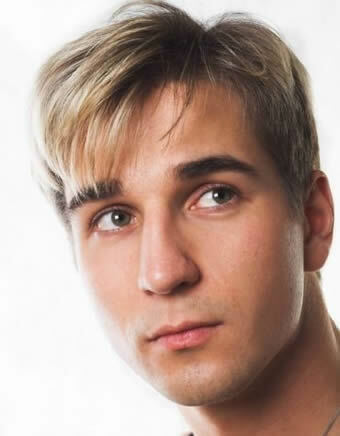 It is a relatively short hairstyle, but may be worn at work and in any formal occasions since it can be fixed using a medium to strong hold gel. To achieve the look, you may just need to apply hair gel to the hair and brush it neatly and sleekly to the sides ensuring a side parting is maintained. This may take a little time to prepare, but once it is done, you can go about your tasks and duties without worrying much about it. 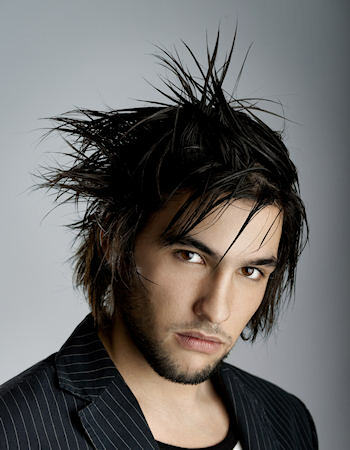 This is best for a man with longish hair, but wants to cut it a little shorter giving the best of both worlds. This can be achieved by having your hair cut in layers and shags. Ensure that the bangs are cut in full and a little longer in such a way that it goes a centimeter below the eyebrows. The arches on both sides are also cut longer that they cover half of the ear. To achieve the bobbed look of the bangs, you may use a roller brush and a hair blow dryer so it may appear rounded or fuller. This is not a very high maintenance hairstyle compared to others, but would still look fashionable. 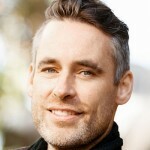 This medium length menâ€™s cut is low maintenance. Firstly, the hair needs to be cut in layers so it may not appear too thick when fixed. Both arches are cut just a little above the ear line and are cut thickly. To achieve the twiggy and spiky look, a strong hold or medium hold hair gel or wax may be used. Rub a good amount on your palms and hand comb your hair. Then, to finish the look fix some spikes and twigs by flicking the hair making sure the every flick is curve to one side. There is no need to make flicks on the side or back of the hair. This hairstyle is a good one to try if you always need to rush in the morning before going out. This menâ€™s style is best fitted for those with long hair. This hairstyle is basically cut in layers. It can be fixed by using a strong hold hair gel or a similarly strong hold hair wax. This way, the sharp-looking spikes may be propped up. There is no rule on where the spikes should be propped up. They can be fixed anyway you wish since it is meant to look sharp, spiky, and tousled. The hair on the nape is cut longer and may be draped on the neck. To fix the general nape area, you can just rub some wax or gel on your hand and hand-comb the back of your head. This can be very stylish as well as high maintenance. This is cut with the arch on the sides almost touching the top of the ear. It is also cut clean on the nape and may be cut with a full blocked or tapered nape. The bangs section is cut just a little below the eyebrow and swept to the side matched with a side parting. To achieve the light and feathery texture, this hairstyle may be finished using a hair blow dryer to make it fluff a little. This may be of high maintenance for other men who do not have a naturally light textured hair but may appear as low maintenance for naturals as they may only need to comb their bangs to the side to achieve this. Leo DiCaprio has been Seen with this Look. This is a shorter version of the other combed up hairstyles. The hair is cut short with layers. The side arches are cut just above the ear line and the side hair is combed back. The center top of the hair is slightly longer and is swept up from the face. This may be done using a strong hold hair gel. This is hairstyle is a very refreshing hairstyle since the breeze may touch up the scalp and no hair is draping on the forehead. This may also be easily done in the mornings or before going out. It is also low maintenance. A Bit of a Sporty Vibe. 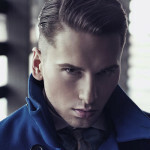 This is a modern take to the traditional pompadour hairstyle. 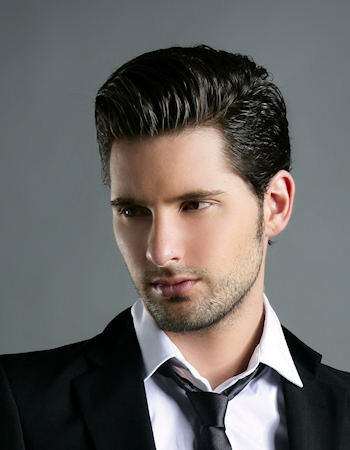 The pompadour hairstyleâ€™s basic concept is to sweep the hair upwards from the face and donned high over the forehead. For this hairstyle, since it is a modern version, the basic concept will be followed except tousles and hair flicks will be allowed. 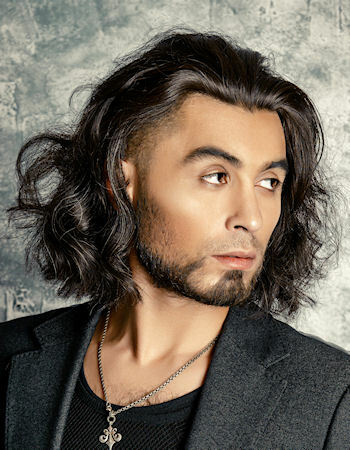 To achieve this hairstyle, have your hair cut in normal layers. Make the basic pompadour hairstyle and only use medium hold hair gel. 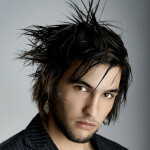 There may be locks of hair falling from the combed hair, just let them be and combed the rest of the hair normally. This simple style may be used in case you want to keep sporting a medium length hair, but does not want any fringe hanging on your forehead. To achieve this hairstyle, have your hair cut in layers. Make sure that the hair on the nape is left longer. You may also want to secure a medium hold hair gel and apply it to the hair. Comb back the hair and flicking the ends of the hair on the nape. No need to comb it neatly as it is meant to be a little tousled.